Minimum contact between tray & insert to eliminate root circling. Optimum balance between air-flow for root pruning & dry down time. Allows air pruning between cells without root bridging. Rigid design resulting in no bending when loaded. “Chimneys” between cells allow airflow to dry canopy without drying out the media too quickly. Produces a superior root system. 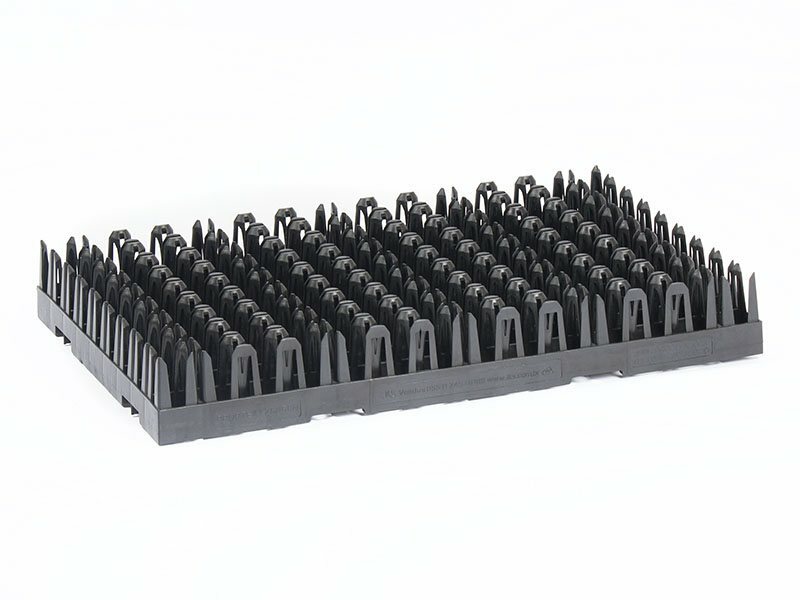 Injection molded for long life and ideal for use with automation. Accepts a 30mm wide Ellepot. The height of the insert can be 4″ and up. Easy and quick to sterilize. 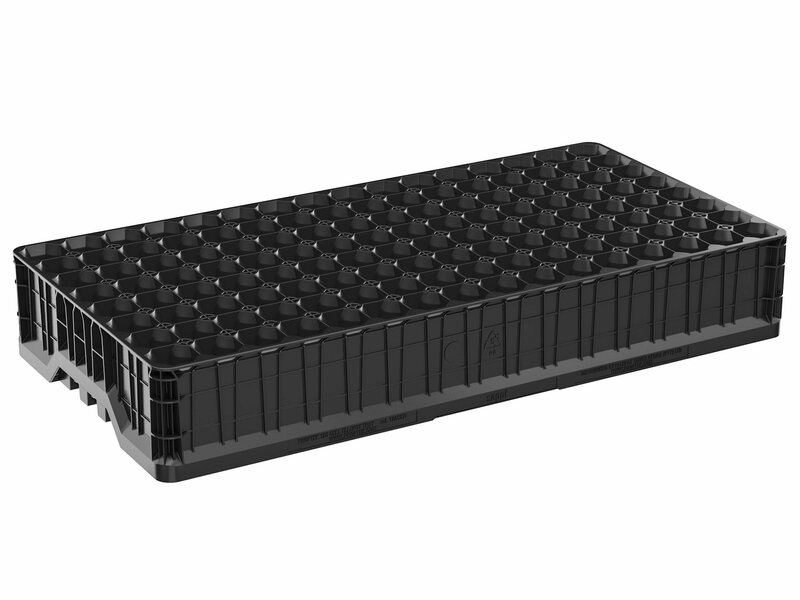 New for 2019, this 128 cell forestry propagation container holds 128 individual 30mm diameter / 4″ tall Ellepots. This propagation container was specifically designed for forestry propagation in South Africa but has wide-reaching uses across the entire world. We worked directly with some of the biggest growers in South Africa, along with Ellepot SA, to get this design exactly right and to the specification of the knowledgeable people who will be using them. As this container creates numerous, natural and vigorous roots, there is no need for any copper treatment. This saves a huge amount of time and money for the grower – and helps saves the environment too. One of the key concepts with the Ellepot/Proptek system is how compatible with automation it is. Serious time and money efficiency savings can be made throughout the whole growing process, right from filling, to sorting & grading to shipping out of the door. Even in semi-automated or more manual nurseries, a Proptek/Ellepot system shows time and time again excellent savings on labor costs. 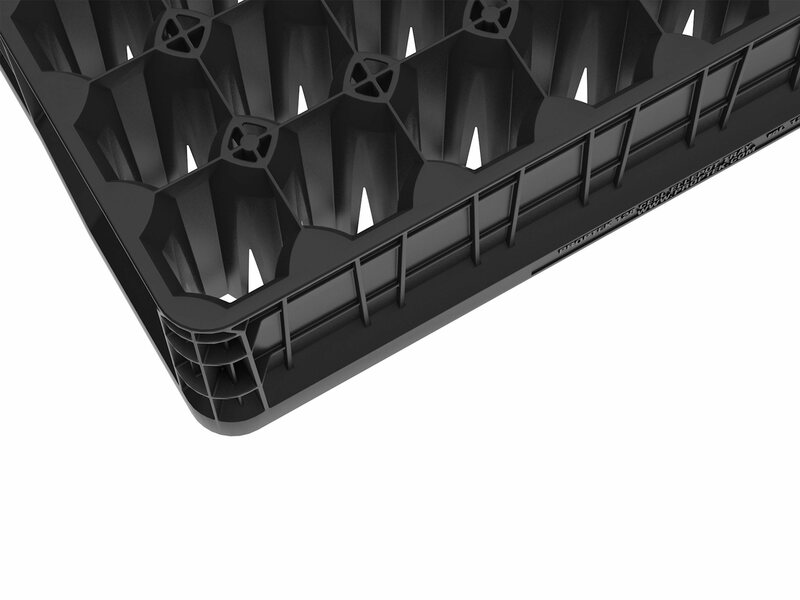 The trays have been strengthened to accommodate trays being dispatched to the field, and because the Ellepots pull so easily, this makes both transplanting in the nursery and pulling for planting out quick and easy. The Ellepot supports the growing media and holds it together whilst the roots are growing, meaning they can be moved or transplanted far sooner than in traditional systems. 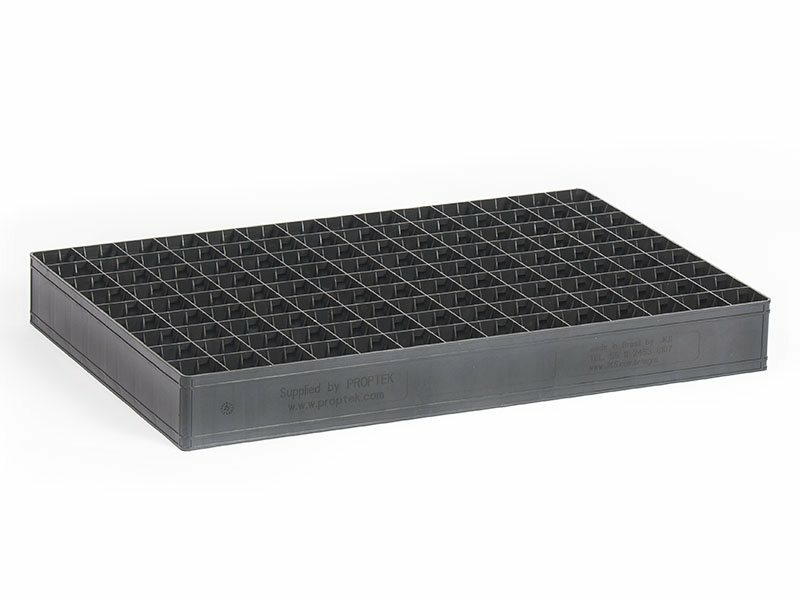 The Ellepot inserts are held in such a way that also allows enough air movement for great aeration and drainage and fantastic ‘air pruning’ of the root system. 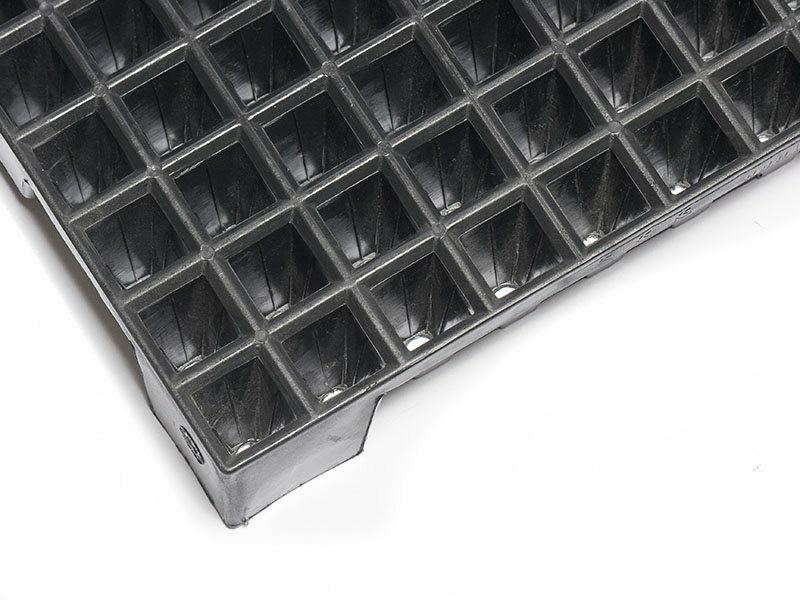 The tray also keeps the plants raised off the ground away from standing water to allow air to better flow around the base to help air pruning. 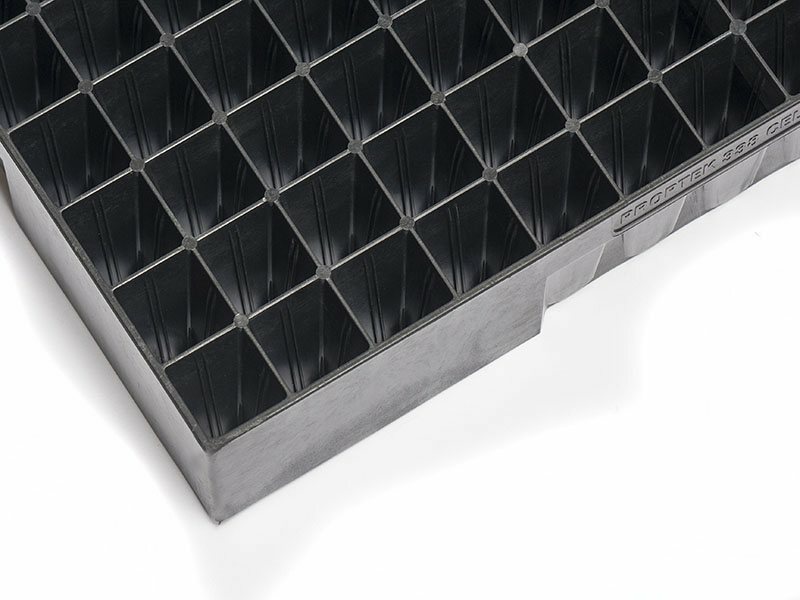 This also stops the plants sitting damp in puddles, helping reduce disease and waterlogging. The optimum height Ellepot for this container is 4″ (101.6mm), though Ellepots taller than this can be used if required. 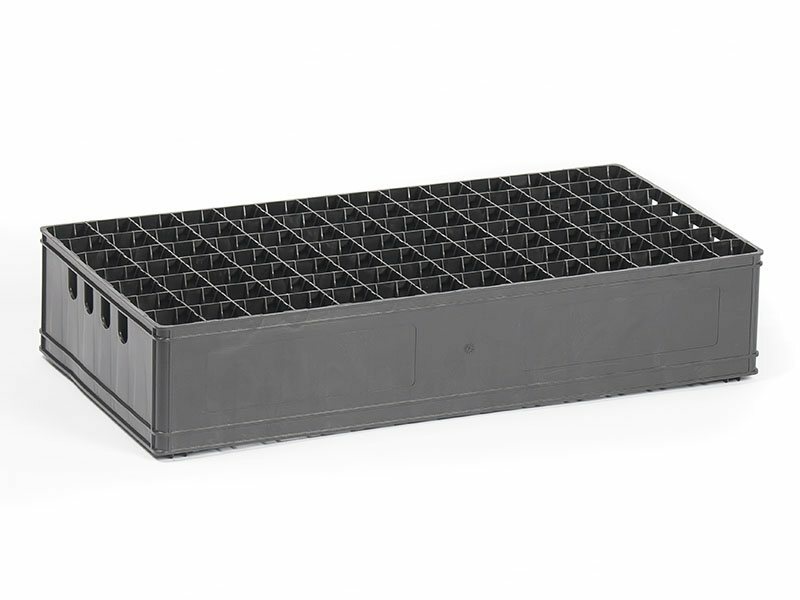 Once the trees are grown to the desired size, the Ellepot insert can be removed, packaged and sent to the field or customer without any plastic leaving the nursery, helping to ensure containers never go missing. This also helps with disease management, as you aren’t bringing any contaminated containers back to to the nursery. 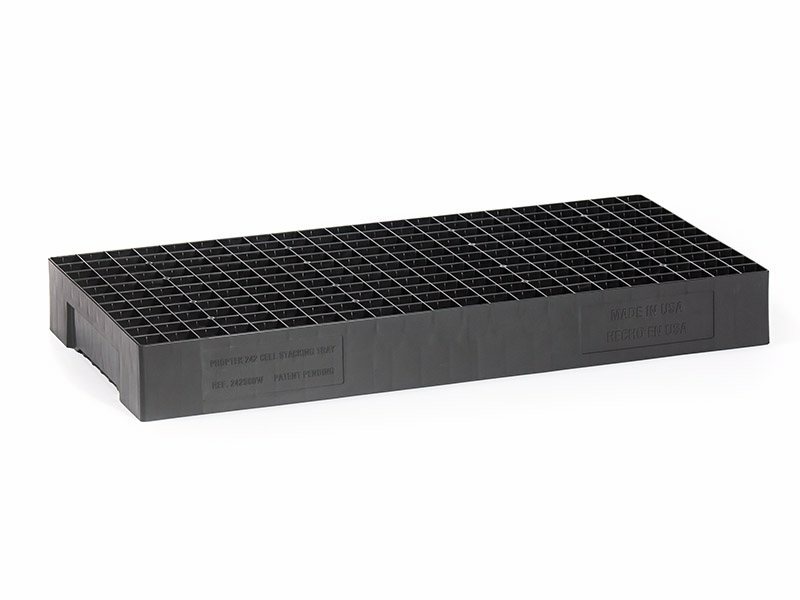 As all our products are made from tough injection molded plastic, they have a very long working life when compared to a Styrofoam container / Styroblock. This long life equates to a very large saving and improved return on investment over the life of the tray. 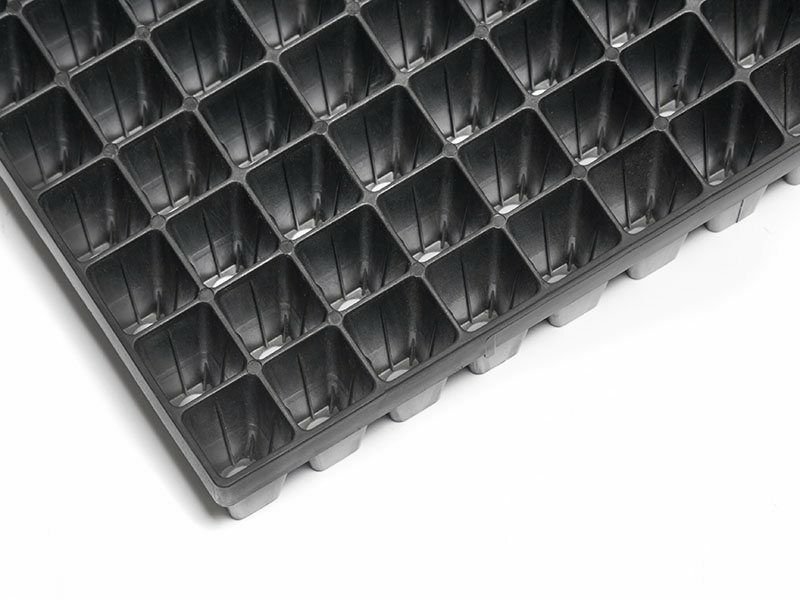 1 Full truck loads can fit more trays per pallet as a dedicated full size 53ft lorry is used for delivery. For partial truck loads, we cannot guarantee the height of the lorry, so pallets must fit into all commercial freight vehicles. If arranging your own transport, please advise us at the earliest opportunity on the internal height of your vehicle. All statistics and measurements may vary so please check before purchasing, if critical, or ask for sample. Working with Proptek has helped us revolutionise how we and the industry grow pine. 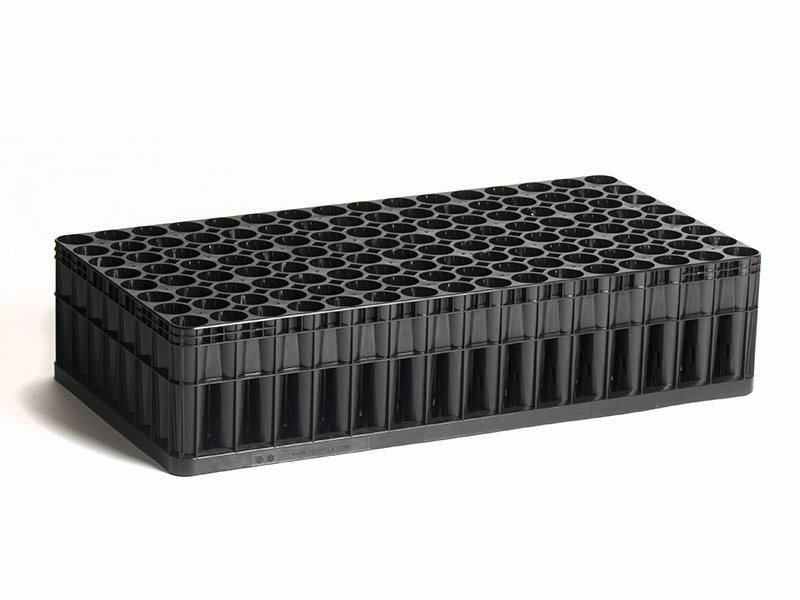 Proptek’s containers are sturdy and produce incredibly high-quality seedlings with natural roots. The seedlings are so good from these containers that we have been able to significantly extend our growing season. We’ve saved big too on our labor bill, as these trays work so well with our seeding lines and the plants pull so easily too it makes the job of boxing up so straightforward. Containerized pine needs a Proptek container.